The Environmental Protection Agency’s (EPA) final ruling in 2015 marked a sea change in the way our industry looks at refrigerants. The ruling began a phase-out initiative of hydrofluourocarbon (HFC) refrigerants with a high global warming potential (GWP). Concurrently, the EPA also identified acceptable, lower-GWP refrigerant substitutes to take their place. While the impacts of this ruling were far-reaching, retail food refrigeration in the supermarket and foodservice industries was among the first markets to be affected. But this was by no means the end of the story. In September, the EPA ruled on additional changes to refrigerant status through its Significant New Alternatives Policy (SNAP) program. This latest revision includes an HFC refrigerant phase-out schedule in cold storage refrigeration and some AC applications. From high-GWP phase-outs to change of status notices for acceptable natural and synthetic refrigerants, these regulatory changes have at times been difficult to unravel. Throughout the HVACR industry, stakeholders have been tasked with formulating appropriate strategies to deal with them. Emerson has been committed to not only understanding these changes, but also helping our customers and the industry stay out in front of them. Our next E360 Webinar, entitled Making Sense of the Latest Rulemaking on Acceptable Refrigerants, will continue those efforts. Dr. Rajan Rajendran, vice president of system innovation center and sustainability, will moderate this important Webinar, taking place on Tuesday, November 29, at 2 p.m. EST / 11 a.m. PST. Rajan will review the EPA’s 2015 final refrigerant rule and provide needed perspective on its latest SNAP ruling. He’ll also explain the amendment to Section 608 of the Clean Air Act and talk about the various global efforts to phase out high-GWP HFC refrigerants — from the EU’s F-Gas initiative and Montreal Protocol meetings to Environmental Canada’s recent proposal and the California Air Resources Board pollutant reduction strategy. To give attendees insights into the status of new refrigerant availability, refrigerant manufacturers — including Honeywell’s Dr. Samuel Yana Motta, Chemours’ Dr. Barbara H. Minor and Arkema’s Matt Ritter — will discuss their respective company’s efforts to develop lower-GWP substitutes that would be acceptable for use in a variety of applications. Finally, Emerson’s Shane Angle, vice president and general manager of air conditioning, will explain how the latest SNAP change of refrigerant status will impact AC chillers. Register now and save the date: Tuesday, November 29, at 2 p.m. EST / 11 a.m. Don’t miss this opportunity to help define your refrigerant strategy. I recently wrote an article for Convenience Store Decisions discussing how convenience stores can leverage the Internet of Things (IoT) and connected technology to improve operations. Just as the Internet has revolutionized the everyday lives of consumers, IoT is transforming operational performance for convenience stores. Convenience store retailers grow more agile with the use of IoT because they can access and analyze data insights to improve operations. As convenience store retailers expand their foodservice offerings to increase revenue, store environments are becoming more complex. By integrating all facility systems under one platform, retailers can optimize store operations, reduce energy consumption, lower equipment downtime and decrease maintenance costs. Utilizing connected facility technology, a convenience store operator can remotely monitor critical equipment across an entire chain of stores. This performance data enables improved equipment, maintenance and energy efficiency. Retailers receive real-time alerts of potential problems that can help reduce maintenance costs and avoid equipment failure. By connecting equipment with the latest facility management technology, convenience stores can remotely upgrade their systems with the latest software, even in the case of legacy equipment. Connected store equipment can provide real-time temperature monitoring and other important data to maintain food safety and quality, which is becoming more critical with the Food Safety Modernization Act (FSMA). Intelligent connected facility technologies are already installed in many retail environments – using building controls for lighting and HVACR, in the back of the house and within the foodservice areas. Integrating the data from all facility systems through IoT enables stores to improve operational efficiency and enhance equipment performance. One of the key principals we are pursuing in our new facility, The Helix Innovation Center is the concept of looking at questions from unusual angles. So when we had the chance to pose a challenge to a diverse group of University of Dayton students, we asked them to tackle the subject of connectivity. The program, part of the Collaboration Accelerator 2.0 brought together UD students majoring in mechanical and civil engineering, marketing, communications, visual arts and international studies, plus a recent Sinclair Community College graduate, to find creative solutions to real-world challenges. The 11-week internship program culminated in an immersive experience that included an “idea file” that explores the true origin and “soul” of connectivity. The students took a broad view, presenting connectivity as an element of mankind’s psychological needs. We were encouraged to think about the various forms connectivity has taken on over the last century. And how our human desire for connectivity is a factor of time, fear and efficiency. The ideas, concepts and materials presented by these students are helping fuel our ideation sessions at The Helix and helping us take a new approach to some of the industry challenges we are tackling. What industry challenges are you facing? Comment on this post and let’s leverage this form of connectivity to think creatively about new approaches to tackling them. This blog is a summary of the article Aligning Our Shared Values from our recent edition of E360 Outlook. Click here to read the article in its entirety. On October 1, Emerson launched a transformative initiative that aligns and strengthens our core business by focusing on two best-in-class operating platforms: Commercial & Residential Solutions and Automation Solutions. 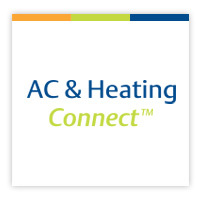 In addition to absorbing the Climate Technologies businesses, the new Commercial & Residential Solutions platform will not only include signature brands — like RIDGID® and InSinkErator® — but also provide new services to enhance the relevance and breadth of our offerings and improve our ability to serve customers. The move will allow us to concentrate on the critical issues affecting our industry and the world we share through an increasing emphasis on innovation to tackle them head on. For our customers and end users in the commercial refrigeration and air conditioning industries, we are working to become a more focused Emerson by providing you with the solutions you need to rise to the significant market and regulatory challenges we face today. To help you do this, we’re concentrating our efforts on four shared values that are driving our industries forward: sustainability, efficiency, human comfort and stewardship. By combining our efforts through Emerson, we’re now in a better position to develop true solutions that preserve the integrity of these values. We’re also able to integrate components, electronics and supporting technology more seamlessly at the system level, tapping into our deep expertise to address your biggest challenges. Under the Emerson name, we’ll continue our commitment to the E360 platform, providing guidance for our served industries through Forums, Webinars and this periodical. To learn more about how we’re aligning our solutions to these core values, please visit our new website at www.Emerson.com. Once there, you’ll find stories that illustrate our shared values and spell out our means of preserving them. We look forward to serving you better.